Jan. 4, 2017 – San Diego, CA — A federal judge in Dallas cut a recent $1 billion verdict nearly in half Tuesday, lifting about $500 million worth of punitive damages off the shoulders of Johnson & Johnson and its DePuy Orthopaedics division, Reuters reported. J&J vowed to fight the record-breaking $1 billion award, calling it “unfair” in a statement released shortly after the verdict. 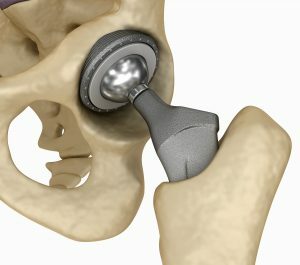 U.S. District Judge Edward Kinkeade said certain “constitutional considerations” limited the amount plaintiffs could recover in punitive damages, but upheld the jury’s findings that J&J and DePuy failed to warn consumers about the risks of their defectively designed Pinnacle hip implants, according to Reuters. 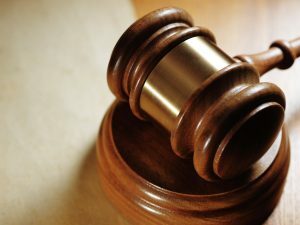 A federal jury in Dallas handed down the $1.04 billion verdict against J&J and DePuy in early December, awarding plaintiffs in six combined cases more than $1 billion in punitive damages and about $32 million in compensatory. The plaintiffs in the cases, who are all California residents, experienced tissue death, bone erosion and other injuries after being implanted with DePuy’s Pinnacle hip implant. Pinnacle, like all metal-on-metal hip implants, has a high failure rate because of its design. Hip implants are made of two main components which mimic the “ball and socket” of the hip joint. When these metal parts rub against each other in the body, particles can break off and enter the tissues and blood stream, causing those problems experienced by plaintiffs, as well as metal toxicity, infection, device loosening and early failure. J&J DePuy stopped selling the Pinnacle hip implant in 2013 following increased scrutiny by the U.S. Food and Drug Administration, though the companies never issued a formal recall. 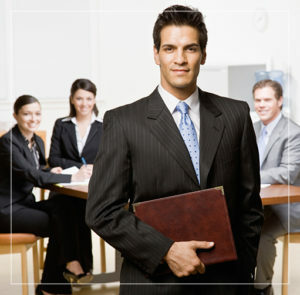 The companies face more than 8,700 Pinnacle lawsuits now pending in the Northern District of Texas in Dallas. December’s verdict was the third to come out of the Pinnacle multidistrict litigation. The second trial ended last year in a $500 million verdict for plaintiffs, though that award was later reduced to $150 by the same Judge Kinkeade. Another jury found in favor of J&J and DePuy in the first trial in 2014. The fourth trial in the litigation is slated for September 2017. The case is In re: DePuy Orthopaedics Inc. Pinnacle Hip Implant Products Liability Litigation (MDL 2244) in the U.S. District Court for the Northern District of Texas. People who were implanted with DePuy’s Pinnacle metal-on-metal hip implant allege suffering serious complications because of the device’s defective design. These complications include tissue damage, bone erosion, metal toxicity, device failure and the need for revision surgery.